Welcome to the home of Hidden Ireland, the place to be if you’re looking for a bespoke and charming holiday experience whilst travelling through Ireland. 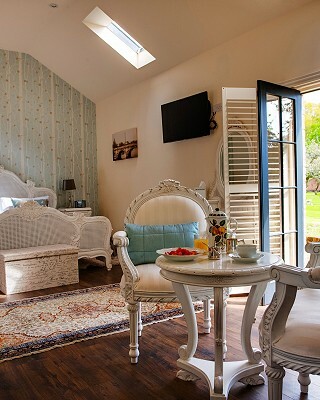 With a fantastic array of historic country houses, town houses, and manor houses to choose from, and locations across all parts of Ireland, there are many great options for anyone looking for an authentic and stylish alternative to the modern hotel experience. Instead of a typical hotel experience, go for something with a little more personality and try one of Hidden Ireland’s many great houses. Hidden Ireland is proud to be able to offer the highest quality of service, with every aspect of your experience tailored to providing truly authentic Irish hospitality. This means a commitment to values that you won’t find in the typical modern hotel experience, values like heritage, tradition, charm, style, and personality. To ensure this each house in the collection is full of history and character, with the personalities of the owners and their stories woven into the very fabric of the buildings, meaning you leave Hidden Ireland having had a unique, enriching experience that is yours to cherish forever. Find the perfect Hidden Ireland country house or manor house for you! Here, you will get to experience an Irish home. It may be a fabulous town house in a city, it may be a proud-standing stately home, it may be a working estate or it may be a country house nestled deep in the landscape, imbued with centuries of history, but whichever you choose, you can be sure of a genuine and heartfelt welcome into our homes! Whether you are just looking for a room for a night or two, or to take over a full house on an exclusive rental basis, you are guaranteed a memorable and special stay. Unlike hotels Hidden Ireland can offer a wide range of catering options, with both bed & breakfast and self-catering accommodation available. A great way to immerse yourself in Ireland’s rich history and culture is to book one of our historic houses entirely for a luxury holiday rental; our houses are perfect venues for family gatherings, for relaxing with friends and for celebrating those special occasions, weddings and events. 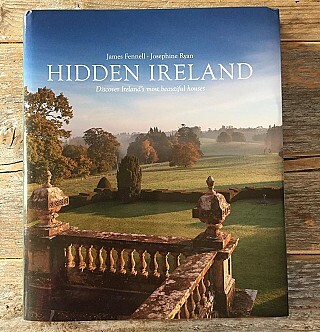 The Hidden Ireland Book, by James Fennell & Josephine Ryan, is a stunning hardback that offers privileged access to these houses and their owners. The Hidden Ireland experience offers you accommodation ideally suited to its surroundings. 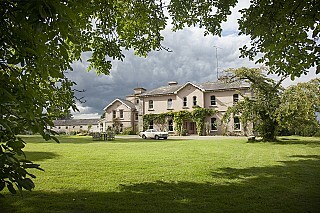 With country houses and manor houses providing the ideal staging post for soaking in Ireland’s historic countryside. For the more cosmopolitan, Hidden Ireland’s stylish town houses provide the ideal opportunity to take in Ireland’s many cultural offerings. These beautiful houses offer a special backdrop no matter what your reason for staying, whether you’re on a romantic getaway, a family trip or simply some friends having that magical trip you’ve always talked about. Hidden Ireland’s professional booking system means you can stay as a couple or as a group and book for a length of stay that suits you. For the business class Hidden Ireland also offers houses that can specifically cater to corporate events, whether your hosting clients in an offsite setting or staging a team building exercise, just get in touch with your venue and their friendly staff will make sure your needs are met. For the more adventurous and independent minded among us, the Hidden Ireland self-catering option is the perfect anecdote to the stale micro managed hotel culture that has often left you underwhelmed. Allowing you to take in all the culture and scenery Ireland has to offer on your own terms. Since its inception in the 1980s, Hidden Ireland has developed an enviable reputation for excellence in accommodation, in no small part this is thanks to their famed great food and fine dining. All of our country house, town house, and manor house properties are united by the owners’ commitment to traditional hospitality and food to rival the best of any Irish restaurant fare. Giving customers the perfect alternative to the lifeless inauthentic hotel dining experience.